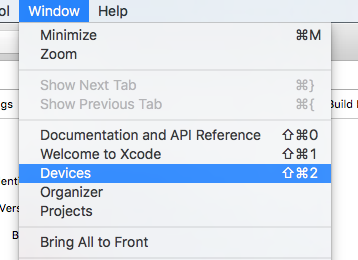 Starting with Xcode 7 it's now possible to install apps onto iOS devices without a paid developer account. But until now, in order to install Kodi on your device you had to compile Kodi from scratch which was somewhat difficult and could take quite a bit of time depending on your computer. Feeling generous? Donations for this app gratefully accepted. Q: Can I do this with Windows? A: No, the code signing expires when either the provisioning file or signing certificate expires. For free accounts this is 7 days, paid accounts get 1 year. Q: What happens after it expires? Q: How do I update or resign? A: Follow the guide starting from step 3. Q: Will I lose my Kodi settings? A: No, as long as you use the same identifier and don't remove the old app the settings will stay. Q: Can I modify the userdata folder? A: Yes, for iOS use iFunbox or another similar app. For Apple TV you can use iExplorer or use Xcode to backup the application container, modify, and then restore. Q: I'm getting the error message "This App contains an app extension with an illegal bundle identifier"
A: This is caused by the system not trusting your developer certificate, make sure that you have this certificate installed. If that still doesnt work you can go into Keychain, login, certificates, and trust your developer certificate manually. 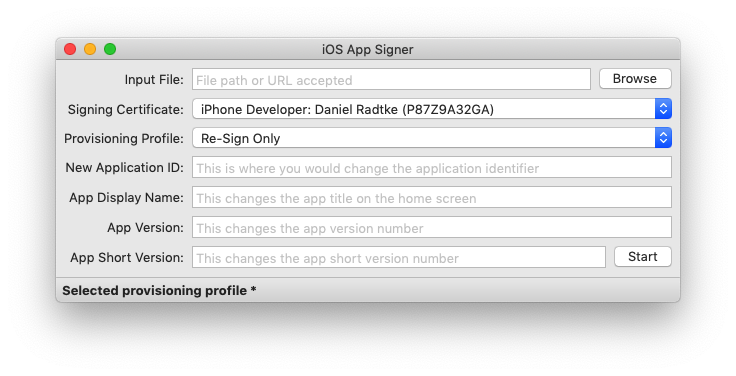 If you have a paid developer account or a signing certificate and provisioning profile, you can skip to step 7 and just use your signing certificate and the profile. This is usually caused by a certificate error. Open Keychain Access which is located in the Utilities folder inside Applications. Select ‘Show Expired Certificates’ in the View menu. 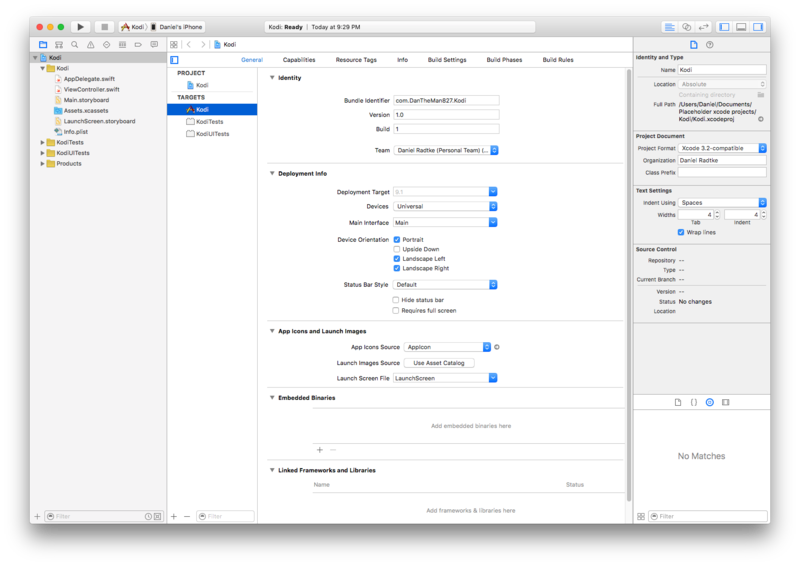 Delete the Apple Worldwide Developer Relations Certificate Authority Intermediate certificates from both the login and system keychains. 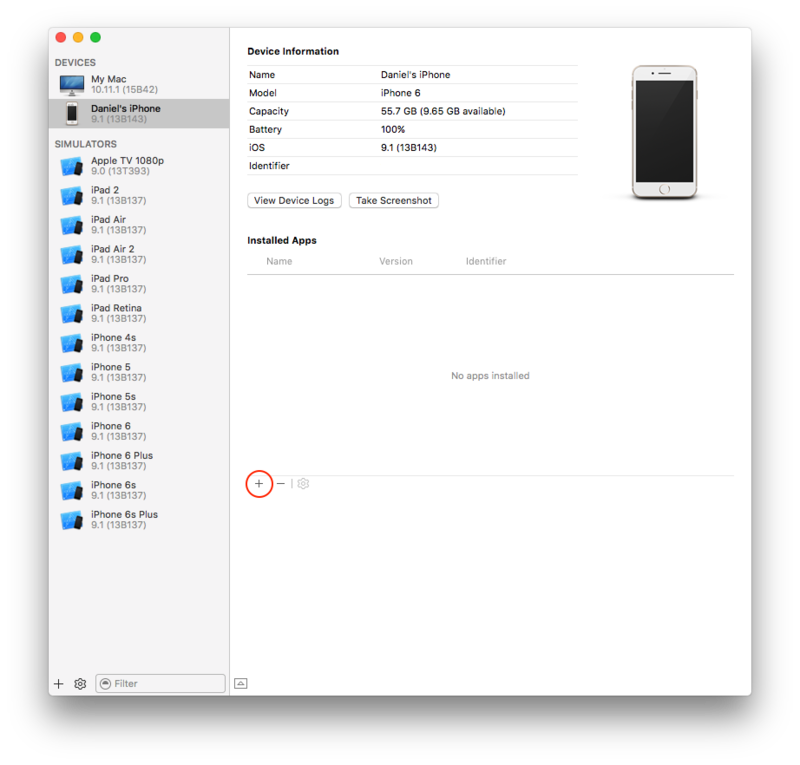 Download and install the latest Apple WWDR certificate. Okay, so... it appears that while the script runs and supposedly signs everything there must be something I'm missing because if I install the IPA my script generates directly it crashes on launch but if I then sign that IPA using iResign it launches just fine. pull the crash log using xcode and see where it is crashing. beats guessing. Can this process be done on the New Apple TV? I currently have Kodi on my Fire TV Stick and waiting for my preordered Apple TV to deliver so I'm really hoping I can get Kodi on it as well. Thanks guys. (2015-11-02, 06:13)jdanyorozco Wrote: Can this process be done on the New Apple TV? I currently have Kodi on my Fire TV Stick and waiting for my preordered Apple TV to deliver so I'm really hoping I can get Kodi on it as well. Thanks guys. yes, but that won't run on the new AppleTV, it runs TVOS, not iOS. Ok, I've figured it out and updated the script on github. (2015-11-02, 05:31)MrMC Wrote: pull the crash log using xcode and see where it is crashing. beats guessing. This is perfect as I have just downloaded and installed xcode 7.1. Installed on iPhone 6 and iPad. A big thank you to DanTheMan827 for his superb script - worked like a charm. I have now liberated my iPad form jailbreak nightmares and have the only app that i jailbroke it for installed. OK - after some further bash fixes, I now get an installable API. Once I've trusted it in the devices, it's launching OK.
(2015-11-03, 00:17)dr_n Wrote: OK - after some further bash fixes, I now get an installable API. Once I've trusted it in the devices, it's launching OK.
How did you fix? I'm having very similar issues. Not really a coding expert, but know a little hence why this method suited me. ok, the current version on github works, I added some error checking and fixed a few bugs.